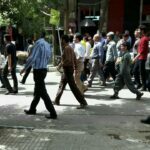 HRANA News Agency – Residents of Harsin city in Kermanshah Province have protested and had rallies for water treatment plant. There are images of this peaceful protest below. HRANA News Agency – Diesel Abad Prison in the West of Kermanshah, has been formed of 10 wards and 6 halls. In the report, prisoners said about the maltreatment and being beaten by prison officials, poor quality and lack of food, poor sanitation and lack of medical attention. According to the official reports the prison population is much greater than the capacity of the prison. 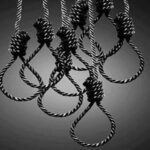 HRANA News Agency – During the last two weeks, 13 prisoners who had been sentenced to death, were hanged in different cities in Iran, which has not been mentioned in any report, so far. 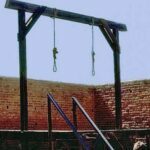 HRANA News Agency – During last week, two prisoners in Diesel Ababd and one in central prison of Kerman were executed by hanging. HRANA News Agency – Two prisoners were hanged in Kermanshah in public. HRANA News Agency – 14 prisoners have been hanged during 4 days in Semnan, Zabol, Kermanshah and Mashhad. 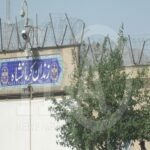 HRANA News Agency – 8 prisoners have been hanged on charges of drug trafficking and murder in the Diesel Abad prison in Kermanshah during last week.